Micah is originally from Middletown, Ohio. There, he began his endeavors as an artist at the age of three. He moved with his family to Austin, Texas in the early 1980s, where his high school created a new art program to accommodate his desire to learn and the skill he exhibited with acrylics, colored pencils and pastels. As he completed his art education, he was eager to begin his career as an artist. However, at his parents' request, he entered the family manufacturing business. He worked there for 13 years, working his way up from installer to vice president. After a long hiatus from the art world, he grew anxious to draw and paint again. He had also developed skills in the use of a new medium while working in his parents' business -- computer graphics. 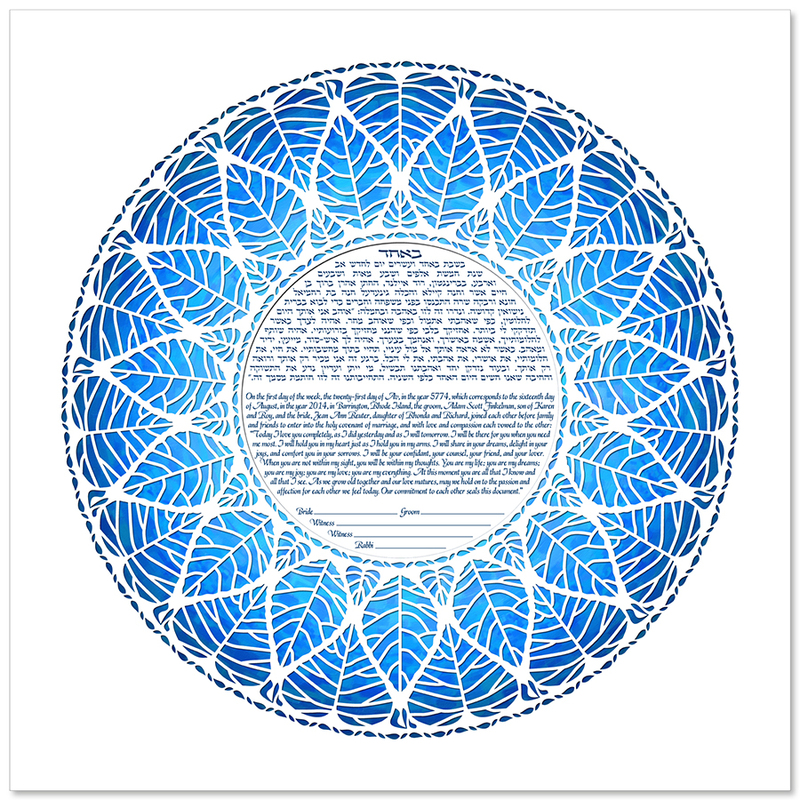 In his spare time, he began creating artwork on the computer. Although Micah was not satisfied with creating art on a part-time basis, he had no plans, at that point, to turn his endeavors into a business, particularly given the difficulties in leaving his family's firm. At the urging of friends, Micah began to create ketubot and other Judaic art. 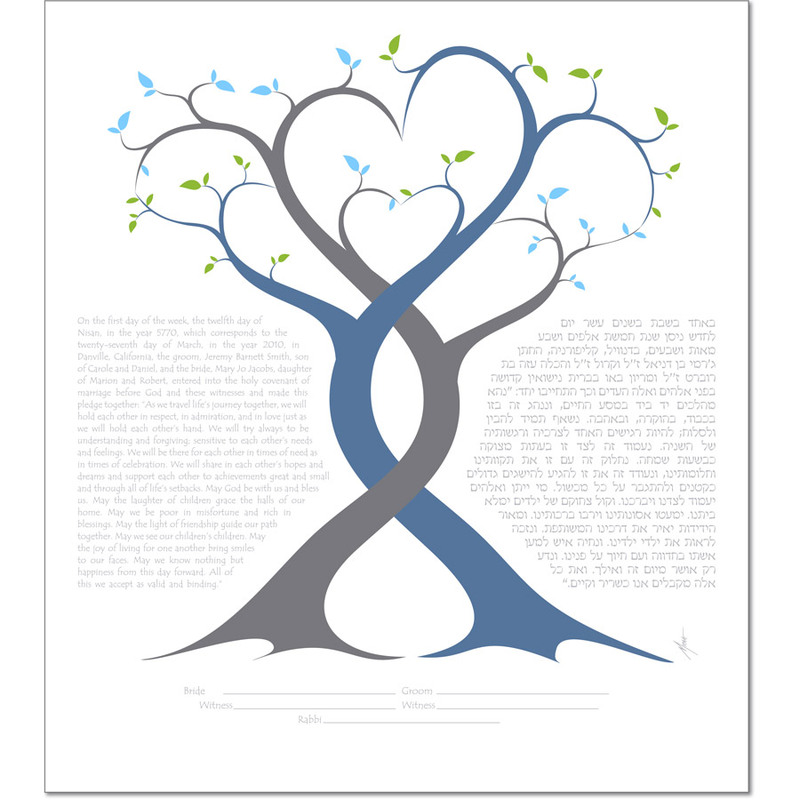 After several years of producing custom ketubot for couples in Austin and life-cycle certificates for his synagogue, he left his parents' business and began marketing his ketubot and Judaica nationally. As Jews have been spread throughout the Diaspora over the course of history, they have tended to adopt some of the regional traditions, languages and customs as their own. 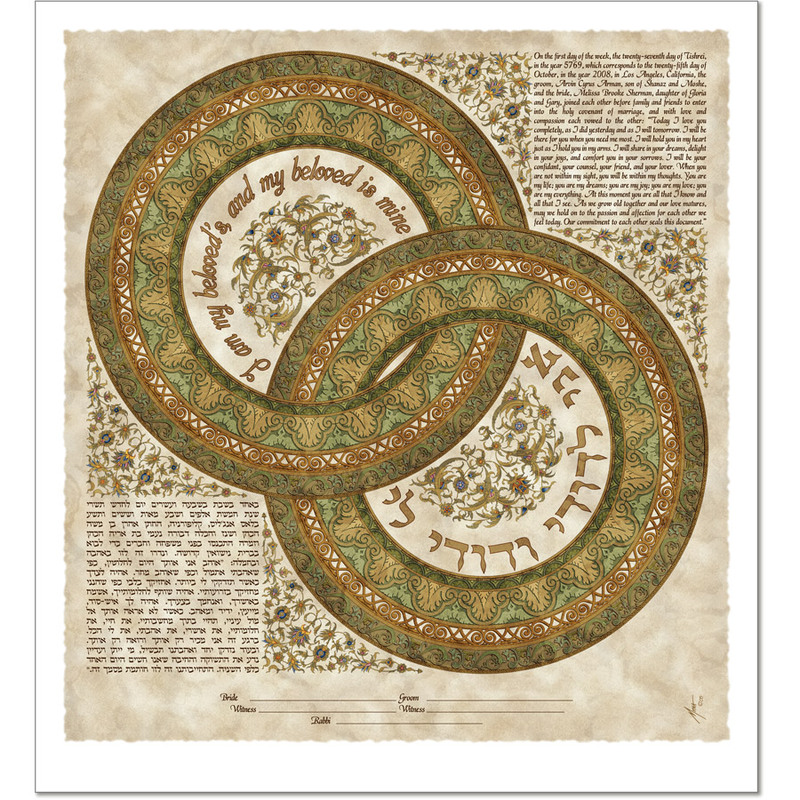 Micah incorporates this "borrowing" concept into his work by combining historical, ornamental art and architectural design with Jewish symbolism to create colorful and distinctively Jewish art. His designs tend to reflect his love for the rich patterns so often seen in the architecture and art of various cultures. 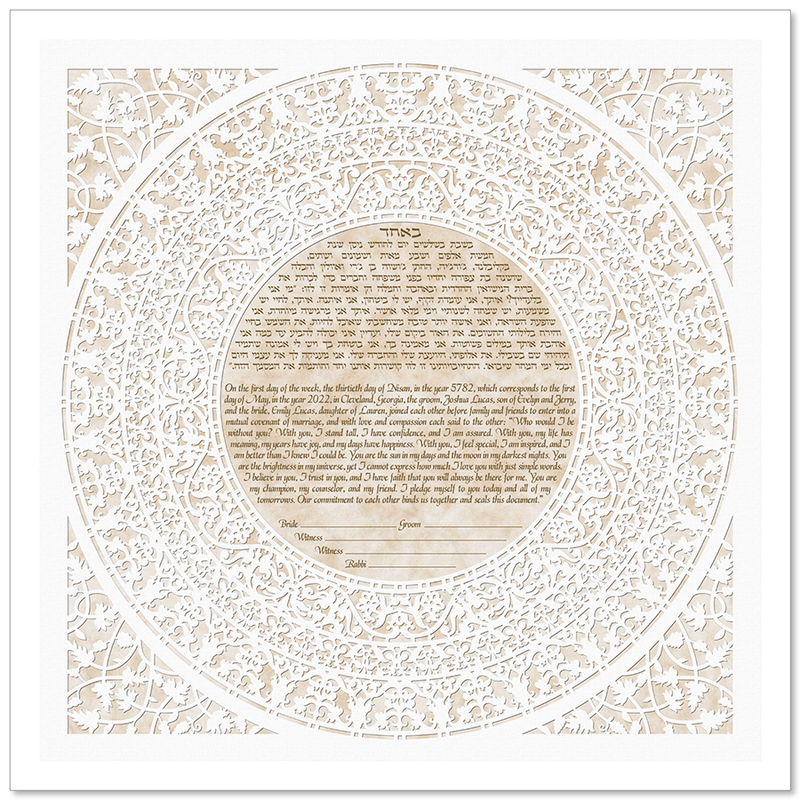 Although he is an accomplished fine artist in several traditional mediums, Micah creates all of his ketubot and Judaica on the computer. This is not as easy it may sound. Digital art, like any other medium, has its benefits and its drawbacks. There have been many instances when he has been overheard saying, "This would be a lot easier to just draw it by hand." The images Micah creates are produced in much the same way he would create them using traditional fine art media -- but with far less clean up! All of the artistic knowledge about light, color, composition and more that are required to paint a masterpiece in oil are required to produce one in digital art.